“I love blogging, but I am not a blogger.” I have ideas about personal development and leadership, so I write about them, but I am not a pro-writer. 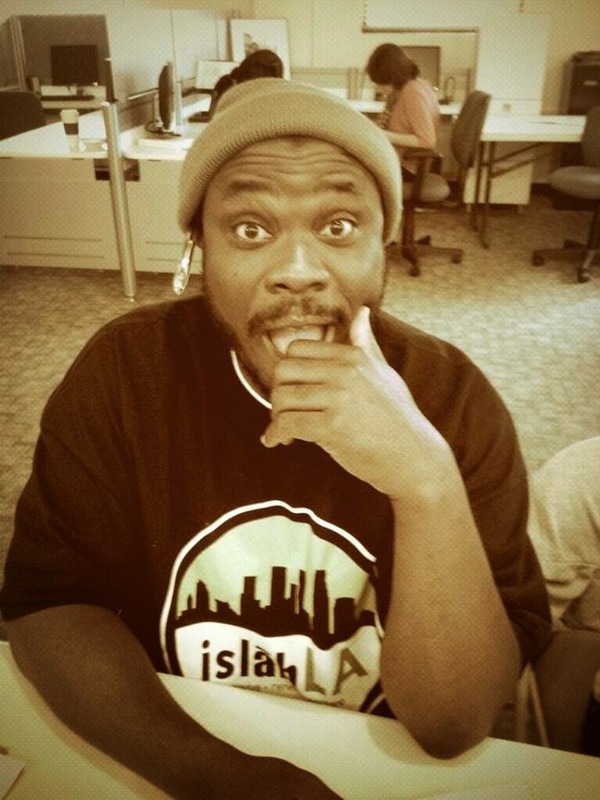 I am #UmarHakim, a Compton resident who is using a vision imagined on a Commodore64. Raised in Urban America where statistics have said, Black Men won’t survive, Helllooo! I worked in a world of diversity with others expressing new, but genuine ideas for leadership, and I strive as a disruptive soul ~ quietly! We recently developed “Baseerah,” a consultancy closely meaning #tohavevision. Our group’s objective is simple "Imagine, Plan, and Act with Reality" using non-profit management and new media projects. The first of our projects is a blog www.creatavoice.org Watch, Listen, and Read urban blog-ver-sa-tions. I blog and present with a sense of humor; rooted in strength, an urban compassion, and creative critical-thinking. We all have a story to narrate while moving toward our appointments. You can follow my story on twitter@whoopwoop, and on facebook.com/whoopwoop. Yes those are my handles, except on Instagram its Baseerah. Until next time we meet ~ Peace, Love and WhoopWoop! Thank you Amanda Q http://muslimahmerican.com/ for the recognition! #WhoopWoop!